Snarkiness aside, my point is that often the differences among birds of the same species are so subtle that were it not for my husband and a bevy of experts out there, I’d miss the differences right before me. I’d think every sparrow was just a sparrow, genericizing it to the degree that it marginalizes each individual bird’s character, whether it be the coloring, the song, or even it’s behavior. In Corporate America we call that commoditizing: When your customer doesn’t recognize any difference between your product and the competitor’s. It’s what every business person wants to avoid. So I imagine it’s probably the same in the bird world. For heaven’s sake, I like to be recognized for my differences, why wouldn’t a sparrow? 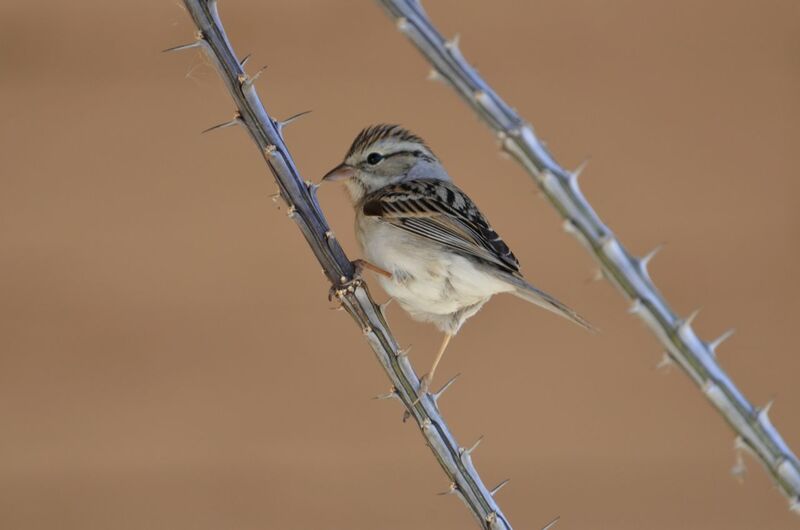 But alas, awesome little Golden Books field guide notwithstanding, while in Southeast Arizona a couple weeks ago we found the following guy and we were convinced it was a Rufous-winged Sparrow, which would have been a lifer for both of us. Wouldn’t that be awesome? Going throughout the day we were hoping he was the Rufous-winged Sparrow, but hadn’t fully committed to it. No sense committing yourself to something that just may not be so. I had a few other photos besides the one above but we were still puzzled even after pulling up the photo on my laptop back at the hotel and flipping back and forth in our field guide. Was he the Rufous-winged Sparrow or perhaps a Brewer’s Sparrow? An immature? Couldn’t tell. I don’t think this is a Rufous-winged Sparrow since it lacks to two dark lateral throat stripes and the eyestripe on the Rufous-wing should also be rufous unless it’s a juvenile, but there wouldn’t be any juveniles this time of year and they’re much more mottled than this bird. The thin black eye stripe, the bold, wide, white supercilium, and the single stripe on the throat, with the softer white malar stripes, point to non-breeding Chipping Sparrow for me. The other possibility, to my eyes, is a funky Clay-colored Sparrow, but they’re more buffy and have a wider eyestripe, as well as a more buffy supercilium. I think Chipping in the best bet here, but of course it’d be good to cross-check this bird with other folks. Chippers have this really nasty habit of mixing in with other flocks too down there in the southeastern corner, when there are so many other Sparrows to already keep an eye on. Thanks for the additional photos Lisa. There’s a bit of buffiness on the sides of the bird’s face, but that dark, narrow eye stripe, prominent supercilium, and now more evident lack of dark malar stripes on the throat, plus the clean breast rule everything out but Chipping Sparrow. They’re buggers. So there you have it. I also received the same conclusion from Bill Thompson via Facebook. Which leads me to another question (and possibly another blog post): How the heck did people go birding before technology? The social aspect of birding is wonderful–the searching for birds while physically together (like when my husband and I ran into Bill Thompson in Panama while chasing army ants), but social media and electronic media (e.g, email) has truly brought birders together to help each other share stories and identify birds. I love, Love, LOVE it! More on all that later, but here are more photos of (as Laurence puts it), the little bugger that I so wanted to be a Rufous-winged Sparrow. Next time I’ll get him. I know……….. there are so many sparrows……… it is hard to keep them all straight!! Loved this blog post! Sally, I’m so glad I’m not alone in this. It should be noted that this is a juvenal first year bird. The adult Chipping Sparrow has a distinct rusty cap which the bird clearly does not. Immature sparrows can be quite tricky to ID which is why they often go by the moniker of LBJ’s – Little Brown Jobs. We’ll get him next time! Sparrow and winter plumage warblers, oh, and winter plumage shorebirds — all hard to identify. 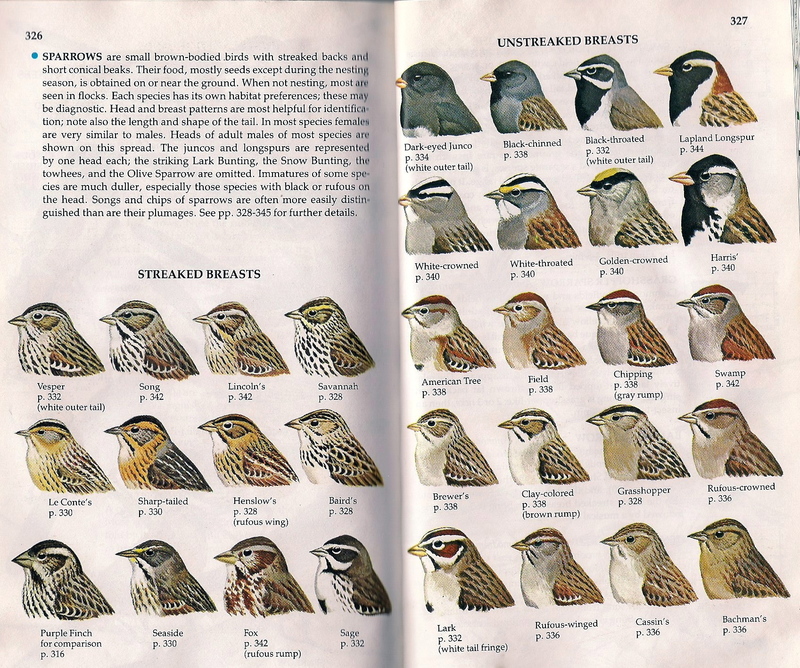 The joy of nailing down the species is what separates “real” birders (i.e., your sources above) from the rest of us. For me, I’ll settle for a fairly decent photo, and the fun of trying to get that photo. Wonderful post, and I am so in agreement with you on the joys of meeting people via the blogosphere. Sue, I totally agree! I’m with you on the settling for getting the shot. I’m not good at ID’ing, which is why I took up photography. I think my husband and I make a great team that way. Geez that Laurence guy sure likes run-on sentences. This is a fun bird though Liz. It’s disappointing to have it turn out to be something so relatively mundane as a Chipping Sparrow, which is so recognizable (unless it’s a first-year bird, as is this one) but think of the birding experience points you’ve gained! I’ve enjoyed your SE AZ posts tremendously–looking forward to next time y’all visit the the State. Laurence, I think the Rufous-winged Sparrow is going to haunt me until I find him. But this guy–the Chipping Sparrow–ain’t so bad. I’ll be ready for Mr. Rufous-winged Sparrow now. A little cutie, for all that! I’m not the greatest with identifying birds, so I agree it’s nice to have the experts on hand. Great post! Yes, if it weren’t for the experts, I’m sure my list of birds would be much longer (as would my nose)!